Moving on to the main object — the lip gloss! 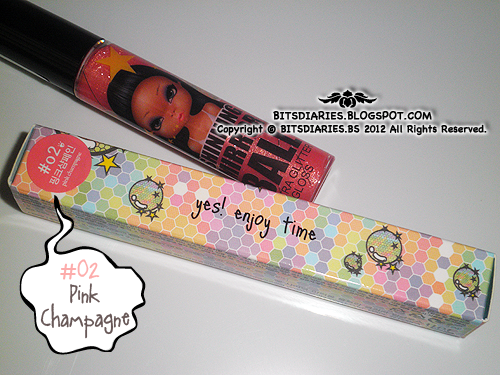 The lip gloss comes in a plastic bottle tube with a black plastic twist-off cap. 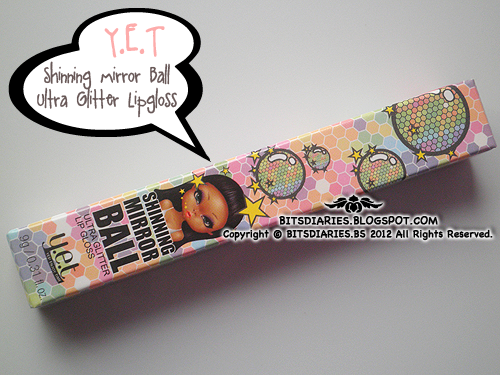 As you can see, the name of the product is printed on the tube as well as a doll print. I think the doll print is actually the mascot(?) of Y.E.T, okay I'm not really sure but anyway, there are 3 of them and all of them look different. Lol. I have to say that the doll looks a little scary to me. Well, perhaps it only affect me~ Honestly, I'm really afraid of dolls. They just look creepy... -_-"
It comes in 4 colors — #01 Chandelier, #03 Sparkling Red, #04 Flash Rose and I got it in #02 Pink Champagne. 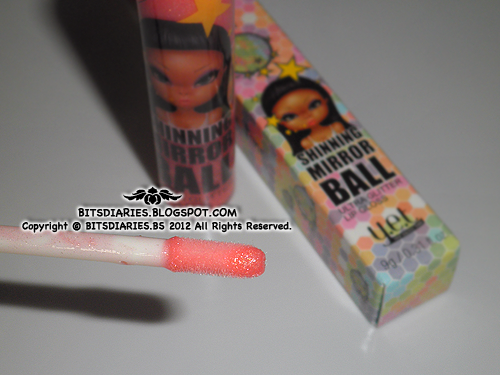 Just like most of the lip glosses out there, it comes with a sponge applicator which makes it easy for application. It's glossy without being too thick. For me, I find it quite sticky even though I only applied a thin layer... If I were to rate the stickiness between 1(not tacky) to 10(very tacky), I would probably rate it a 7 or 8? [...] On the positive side, it's easy to apply on lips. Convenient to carry it around because of it's portable size.